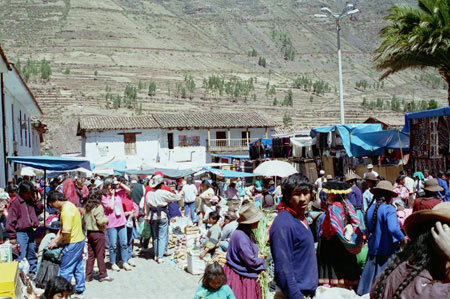 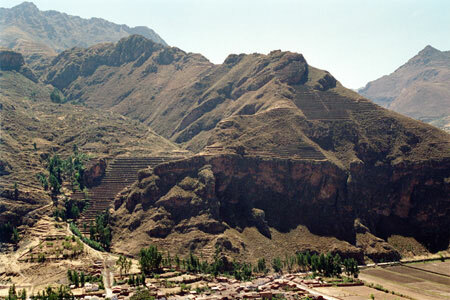 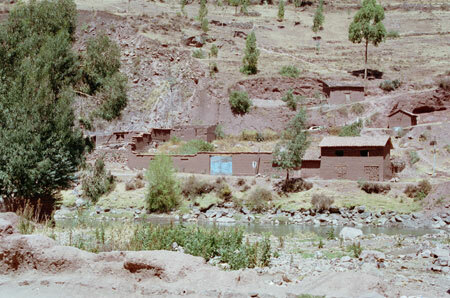 Pisac is a market town. 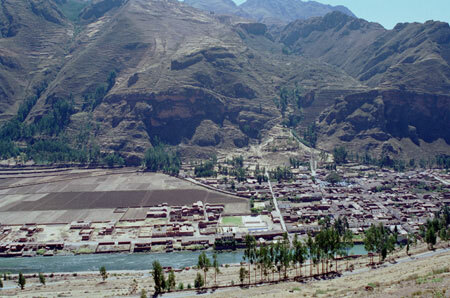 Since the discovery of Machu Picchu and the growth of the tourist industry, Pisac has had a burgeoning folklore industry as well. 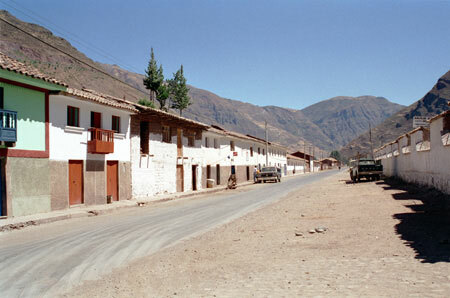 Local artisans produce carvings and other cultural items. 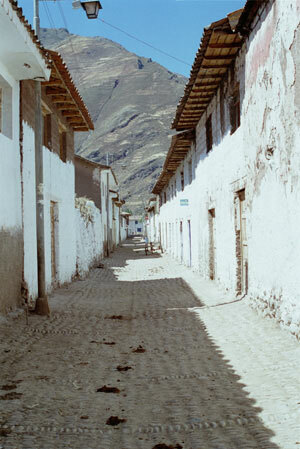 These back streets are where the cloth and elaborate carvings are made.